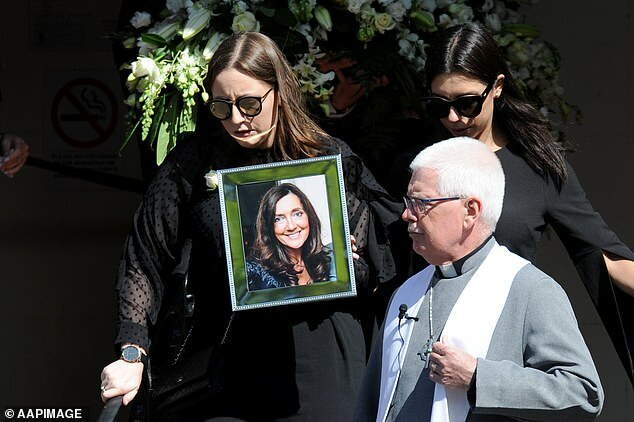 Borce Ristevski bought his wife Karen a double grave with space for him to buried next to her after he killed her. The double headstone at Williamstown Cemetery in Victoria is half blank, ready for his name to be inscribed when he dies. 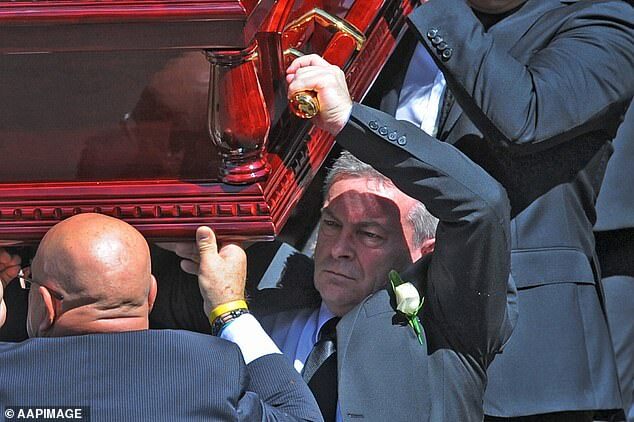 Ristevski, 54, carried his wife's coffin at her funeral two years ago. He finally confessed to her manslaughter earlier this month after almost three years of lying to police and the couple's only child, Sarah. The killer listed his wife's date of death on the headstone as February 20, 2017, the day her decomposed body was found by hikers eight months after police believe he killed her. 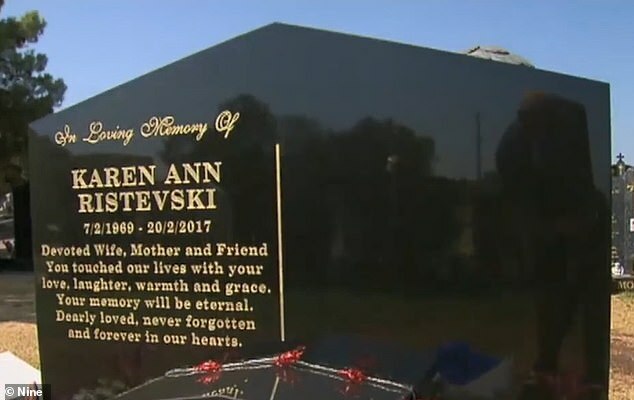 Ms Ristevki's family and friends are furious and want the gravestone changed, according to news.com. A spokesman for the cemetery said: 'We are working with the family regarding what their rights are and trying to assist them in a way that adheres to the Cemeteries and Crematoria Act of 2003 (Victoria) that all cemeteries are bound by. Social media users speculated that the double headstone was part of Ristevski's plot to get away with the killing by portraying himself as an innocent, loving husband. 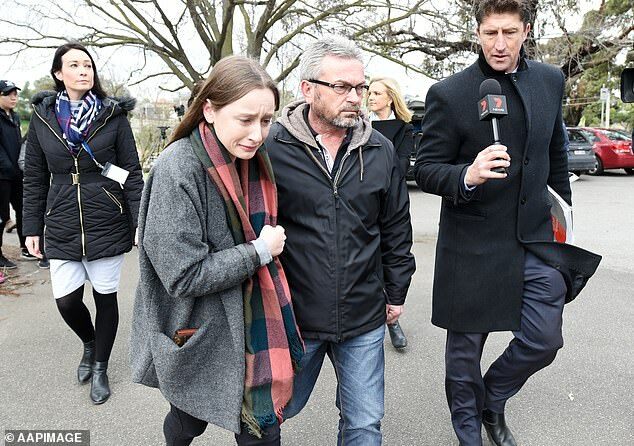 A spokesman for The Greater Metropolitan Cemeteries Trust confirmed Borce Ristevski was the right of internment holder, meaning he chose the plot where his wife was laid to rest. The spokesman said: 'The plot was purchased on 28 February 2017, in the week prior to Karen's interment service on 6 March 2017. 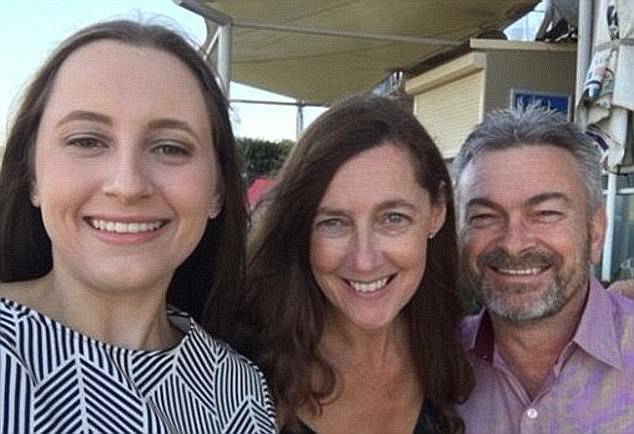 Earlier this month Daily Mail Australia reported how Ristevski's daughter Sarah was 'blindsided' by his sudden guilty plea to the manslaughter of her mother. The couple's only daughter, Sarah, was surprised by the sudden guilty plea and hadn't expected it. 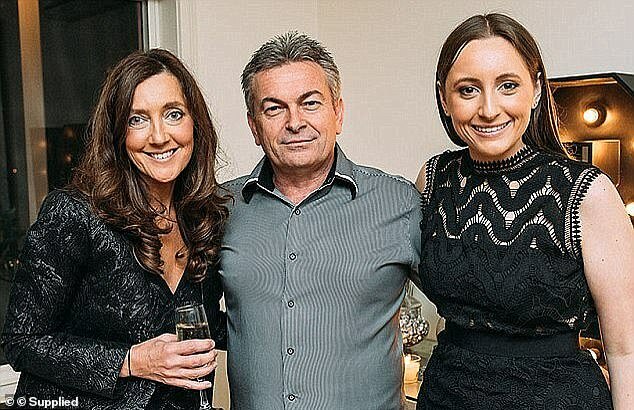 Miss Ristevski was not present at the court during the pre-trial hearing in mid-March. She wasn't allowed to be, as she had been listed as a prosecution witness in her father's trial. Since her mother's disappearance in June 2016, Sarah has had to endure the loss of one parent, the callous betrayal of her father, and the public's macabre fascination with the case. Sources with knowledge of the situation said '(Miss Ristevski) did not' anticipate the plea. Borce's sudden confession came after a Victorian Supreme Court judge ruled that crucial prosecution evidence of Borce's 'murderous intent' was inadmissible. Crown prosecutors hinged their murder charge on evidence about Borce's behaviour after Karen's disappearance in mid-2016. Karen's body, found wedged between two logs in a national park months after she vanished, was too badly decomposed for there to be a conclusive cause of death. Borce's manslaughter plea means he will avoid a life sentence, the maximum penalty for a murder charge. His trial was supposed to start on March 14. The plea is the beginning of the end of the circus surrounding the Ristevski family, from which Sarah has suffered the most. In a haze after her mother's disappearance, Sarah had to stand by her father during a public appeal for information in mid-2016.